Many homeowners are forgoing the formal dining room in favor of an open-floor concept, opting to have a less formal dining area that can accommodate large gatherings, particularly around the holidays. 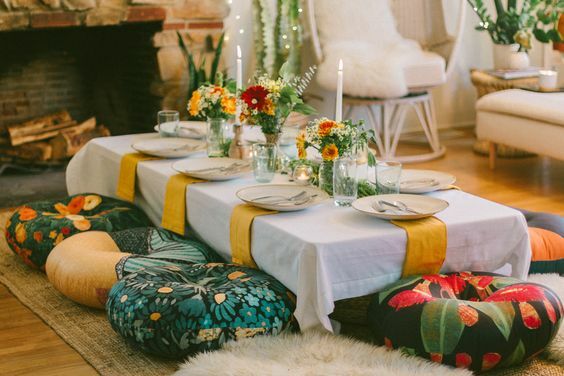 Seating tends to become something that is overlooked- you find a great table that can seat 12 and have your heart set on it, only to find out that the cost of chairs is nearly triple the price of the table. Now I bet you’re asking yourself “Why are chairs so expensive?” and there’s a relatively easy answer to this. Craftsmanship- a well-made chair requires serious craftsmanship and talent. Today, many chairs are stapled or glued together, resulting in a flimsy chair. By taking the time (and time is money!) to create more intricate joinery, the result is an expertly crafted, sturdy chair. Nothing would be worse than having a chair collapse on a guest! How do we solve this dilemma? At Darby Road HOME, we often suggest a combination of seating options. This is a budget friendly option that creates a pleasing aesthetic when done correctly. As we mentioned earlier, homeowners tend to go for a less-formal dining area and bench-seating is a great option for this. A bench on one side of the table can accommodate several seats. 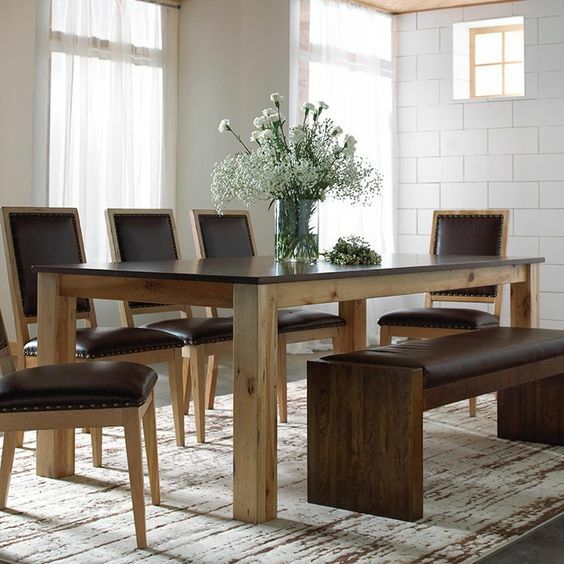 Another fun method to break up the seating is by utilizing a mix of solid wood and upholstered seating. This creates depth and dimension in the space, allowing homeowners to add an eclectic touch through the upholstery, while also allowing for wiggle room in the budget. Another fun way to add seating is by using ottomans, stools and sturdy side tables from your space. These pieces are versatile as they can work as tables or storage, while doubling as seating options for those big game nights and holiday gatherings when more people showed up than you expected! This type of seating can also be easily tucked away when it is not in use. Let us know in the comments below what your favorite, creative solution is to accommodate your guests. We’d love to hear!